Mount Bierstadt hiking trail. 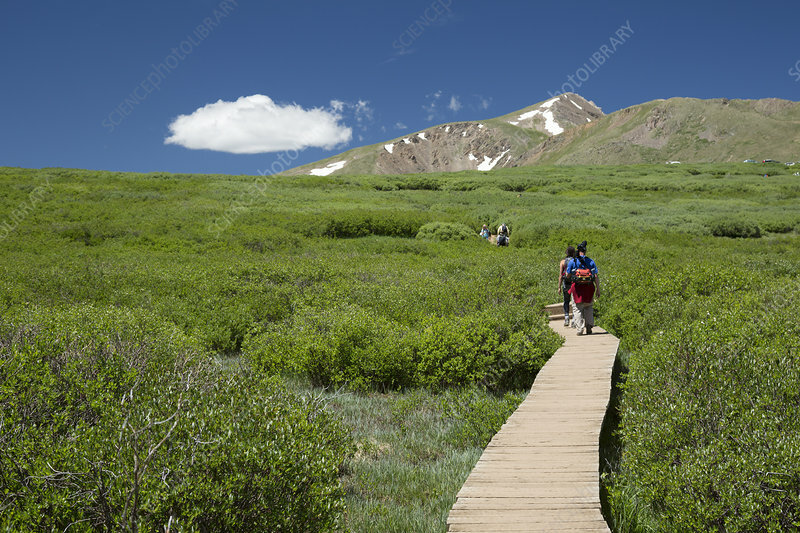 Hikers on a boardwalk on the Mount Bierstadt Trail in the Mount Evans Wilderness Area, near Georgetown, Colorado, USA. The boardwalk protects the sensitive tundra ecosystem. Mount Bierstadt (4287 metres) is part of the Front Range of the Rocky Mountains. This part of the trail goes from Guanella Pass to the summit of Mount Bierstadt. Photographed in July 2015.